with metal frame + inner folding filter paper + separating paper, sealed with special sealant. 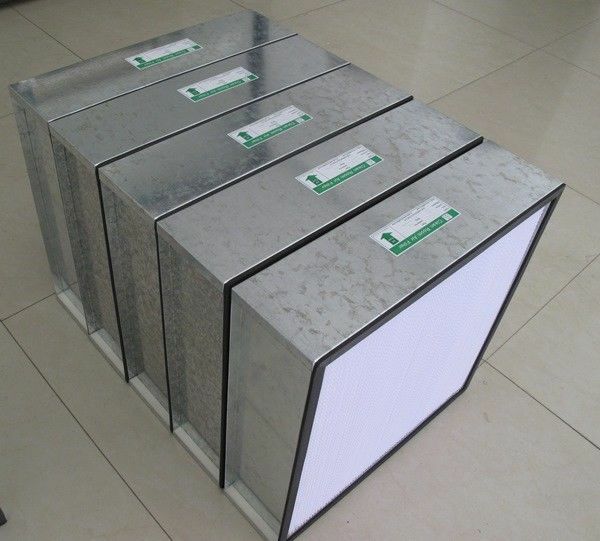 Attached pictures of HEPA filter are exported to Georgia in March 2018. Another frame outside the wooden frame, Aluminum alloy frame, Galvanized plate frame or Stainless steel frame. 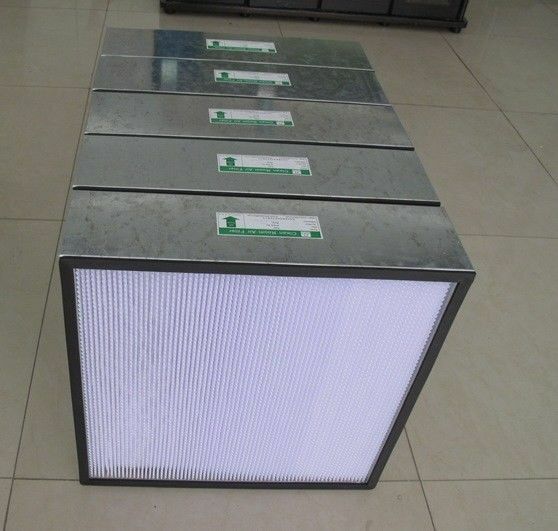 The most use are more galvanized frames, with the advantages of low cost and good quality. A separator filter has the characteristics of large air volume, high efficiency, low resistance and large dust holding capacity, and the efficiency reaches 99.99%. 1. using micro glass fiber copied directly. has a good high temperature, acid and alkali resistance, radiation resistance, stable performance. 3. The dividers are usually made of white cardboard or aluminum foil. The outer frame can be made of materials such as aluminum, stainless steel, and wooden frames according to the requirements of the use environment. 2. the end of the purification system filter components. local purification equipment and ambient air purification. 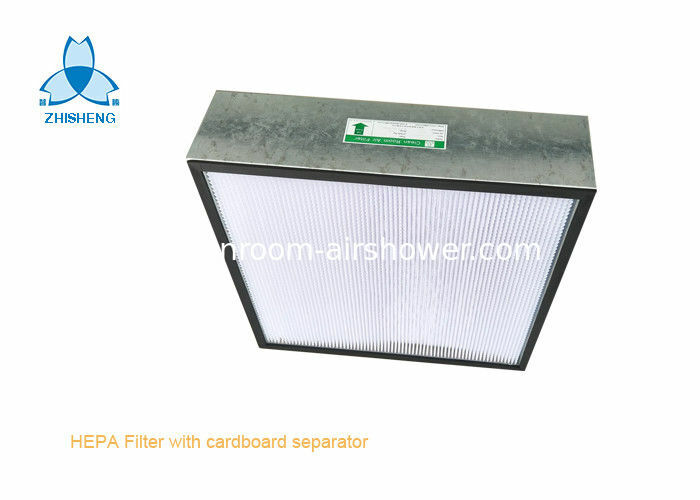 For terminal HEPA filter supply unit, laminar flow cabinet, air shower, air handling unit or other clean equipments.